The rail regulator is taking formal action against Network Rail after new statistics showed punctuality and reliability at their lowest levels since 2014. The Office of Rail and Road (ORR) said that while passengers rely on both Network Rail and train operators, its role is to examine the contribution of the rail infrastructure operator. It has therefore taken action against it to require improvements in its capability to deliver better performance. 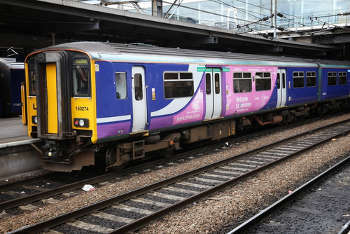 The ORR said its half-year ‘Network Rail Monitor’, covering April to mid-October 2018, shows punctuality and reliability at their lowest levels since the current five-year control period (CP5) began in 2014, ‘with factors such as extreme weather and problems implementing the May 2018 timetable playing a part’. Chief Executive John Larkinson said: ‘Today’s decision is a clear demonstration of ORR’s approach to how we will hold Network Rail to account. The ORR said that, as well as own monitoring, a series of recent independent reviews into train performance have now concluded and highlighted many areas where Network Rail, and train operators, must improve. Evidence from these reviews indicate weaknesses specifically with both Network Rail’s approach to performance planning and its capability to recover services following incidents. ORR considers Network Rail to appear to be contravening Licence Condition 1: Network Management. The regulator also reported on Network Rail’s progress with getting ready to deliver efficiently in CP6 from April 2019. It said Network Rail is in a better position than it was at this point five years ago to deliver the volumes of work required and improve efficiency by its plans to make efficiency savings are less advanced than they need to be and there is more to do in the four months before CP6 starts. Transport Network has approached the Rail Delivey Group, which represents Network Rail and and train operators, for comment.